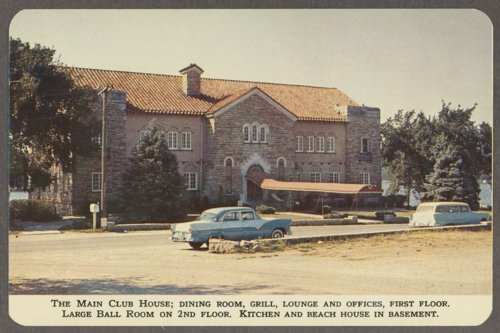 Here are four postcards showing views of Lake Quivira, Kansas. Lake Quivira had 900 acres of restricted residentail and recreational property. The images show the club house, the main entrance, the shoreline with boat docks, and the July 1956 Heart of America Snipe Regatta.